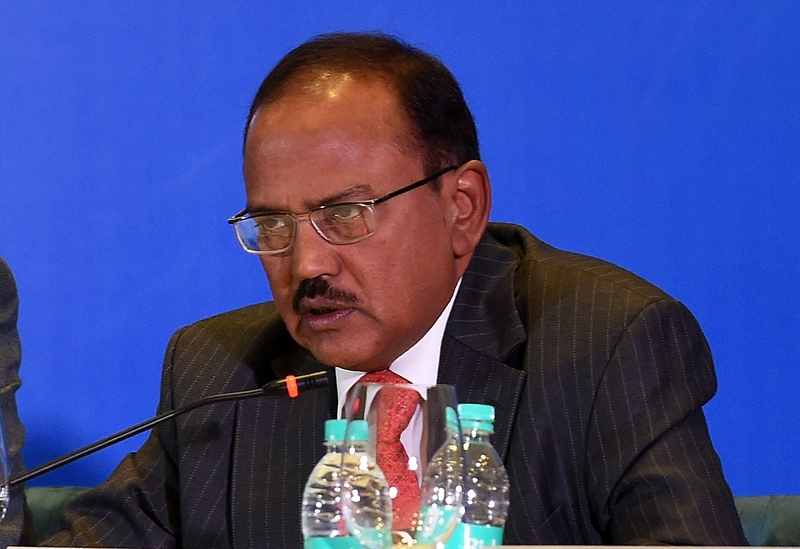 Ajit Doval held talks with Nikolai Patrushev in Moscow, while a Russian delegation visited New Delhi for counter-terrorism consultations. The countries agreed that all UN members must comply with the UN 1267 Sanctions List processes for blacklisting terrorists. High-level officials from Russia and India held a set of meetings this week in Moscow and New Delhi, as the countries discussed strategies to tackle the growing threat of terrorism. On Jan. 30-31, Ajit Doval, India’s National Security Advisor visited Moscow, where he held talks with Nikolai Patrushev, Secretary of Russia’s Security Council. No further details about the meetings were divulged by either side. Sources close to the Indian Ministry of External Affairs told RIR that the sides discussed the situation in Afghanistan. “Indian concerns over false media reports that Russia was moving towards recognizing the Taliban were taken up by Doval,” a source said. “Russia assured India of its support for the Ashraf Ghani government in Kabul,” the source, who spoke on the condition of anonymity, added. The sides also spoke about tackling terror groups such as the Islamic State and numerous groups in Pakistan, according to the sources. Doval, a confidante of Indian Prime Minister Narendra Modi, has a good relationship with his Russian counterparts. He accompanied Modi for the BRICS and Shanghai Cooperation Organization (SCO) summits in July 2015 in Ufa, as well as the Indo-Russian summit in Moscow later that year. “The Russians think highly of Doval as a staunch believer in the raison d’etre and resilience of India’s time-tested relations with Russia and as a diplomat who is unique in his understanding of the centrality of Moscow’s partnership to India’s regional and global strategies,” M. K. Bhadrakumar, a former Indian diplomat, wrote in the Asia Times website. Russia and India also held high-level consultations on counter terrorism issues in New Delhi on Jan. 31. The Indian delegation was headed by Preeti Saran, Secretary (East) of the Ministry of External Affairs while the Russian delegation was led by Deputy Foreign Minister Oleg Syromolotov. India also raised the issue of China’s attempts to block the blacklisting of Pakistan-based terrorist Maulana Masood Azhar in the United Nations, sources told RIR. China has placed a technical hold on India’s bid to get Azhar designated as a terrorist by the UN. In New Delhi, Russia supported India’s position. “Both sides agreed that the UNSC 1267 Sanctions List processes for blacklisting various terrorist individuals and entities must be stringently complied with,” the Indian Ministry of External Affairs said. The sides agreed to develop anti-terror cooperation in the bilateral format and in international platforms such as the UN, SCO and BRICS. Cyber-security issues were also discussed at the New Delhi consultations. Last month, the Russian-Indian intergovernmental agreement on cooperation and coordination in the field of information technology security and information sharing to combat terrorism came into force. Under the agreement, India’s Central Bureau of Investigation (CBI) will coordinate its efforts in counterterrorism with the Russian Interior Ministry’s cybercrime-detection units.